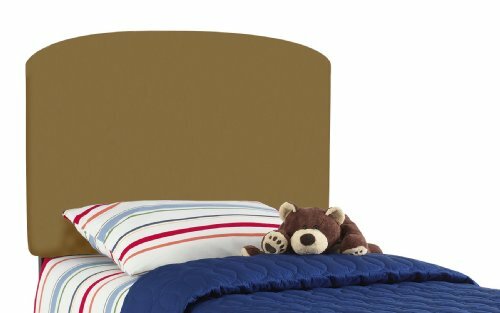 This classic arched headboard will add style to your child's bedroom. Hand crafted and upholstered in the US, this headboard has a solid wood frame, adjustable steel legs, and polyurethane foam padding. The headboard is offered in many different colorss to complement any bedspread. It is available in Twin and Full. Easy assembly required. Spot clean only.